Here in the Castle Rock, when I'm not working, I watch the local news on the local (Portland, Oregon) stations—Affiliates of ABC, CBS, NBC, and FOX. They all give about the same News, Weather, and Sports, and I rotate. They have more than the news in common, which brings me to my main point. The news staff and personalities are being infiltrated by the younger generation. That happens with EVERY generation, and I know that. I also know that I am no longer the “target demographic” of anything, local news included. Here's the rub…..I'm weary of location news reporters starting sentences with “Sssooo”, and then proceeding. I'm weary of every tragedy being “Literally Horrific”. I understand that these folks speak like that to one another, but in generations past, by the time they became TV personalities, they had learned a more traditional manner of speaking. Try as I might, I cannot recall previous reporters using Valley-Girl speak, or punctuating sentences with “Groovy, Man”. My Healdsburg High English teacher, Mrs. Murhammer, would be appalled. I was an MP in the U.S. Army, and later a law enforcement officer for both the city of Santa Rosa, California, and the county of Sonoma, California. I retired from public service after over 30 years in the business. Turned out that I still needed to work, so I'm a security officer in private industry. I have a private investigator's license and have done some of that work, but I discovered, much to my dismay, that while I am really quite competent at the work, I'm a crappy businessman. I told you that so I could tell you this: Working in private security is either pretty nice or truly awful, depending almost entirely on whether the outfit you work for is headed up by a former law enforcement officer……….or not. I now work as a security officer for two really good private companies and a really nice community college. My mustache is worth 4/10ths of an EMEU. That's a point 4 EMEU, if you prefer. 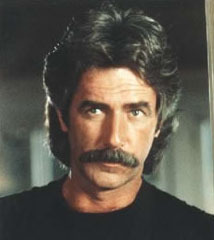 Other celebrities have dandy mustaches. Great mustaches, even, but not the standard. It gets worse. My opinion on this matter is final. When I declare that Tom Selleck's mustache is a point 8 EMEU, that rating stays. Burt Reynolds also comes in at a point 8 EMEU. Point 8. Not a drop more. Good mustaches and certainly heroes, but point 8 and no more. And Roger is thinking: “Gosh. Six months”.